I struggled for a little bit trying to figure out how to appropriately name this dish because while in my head, the idea was to sort of make an inside-out omelette. However, that didn't look right as a recipe name so instead we'll call it a reverse omelette. Last week's Test Kitchen ingredient was nopal, the cactus part of the prickly pear fruit; you might see it more often as nopales which is the plural version. It's a tangy, sour ingredient with the texture of a crisp eggplant - the illusion of gooeyness gives way to something teasingly close to crunchy. I thought about its structure which makes it almost like nature's pita pocket and also saw a lot of egg-related and salad-related recipes. So the end product was to combine them all. Dice all vegetables into about 1/4" pieces and set aside. Mince jalapeno pepper. 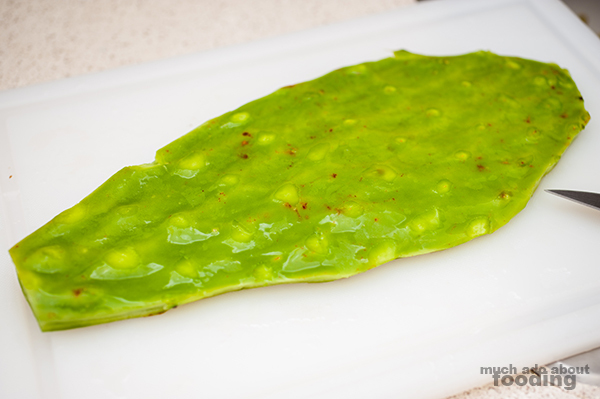 For nopal, remove spines with a paring knife on both sides. 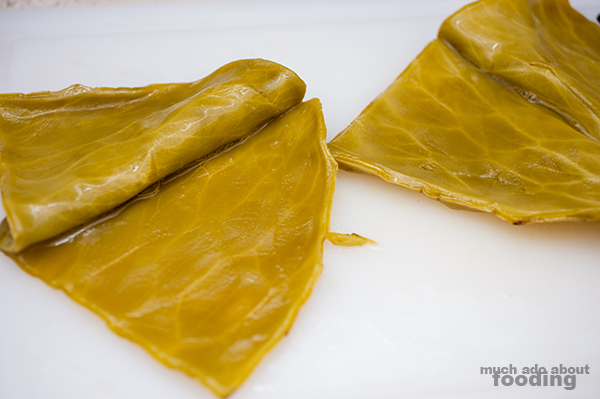 Trim the entire edge of the nopal leaf. Slice in half. Carefully slice through the center of each piece but not all the way through so that a "pocket" is formed. Yes, it will look pockmarked. In a separate bowl, beat together eggs. 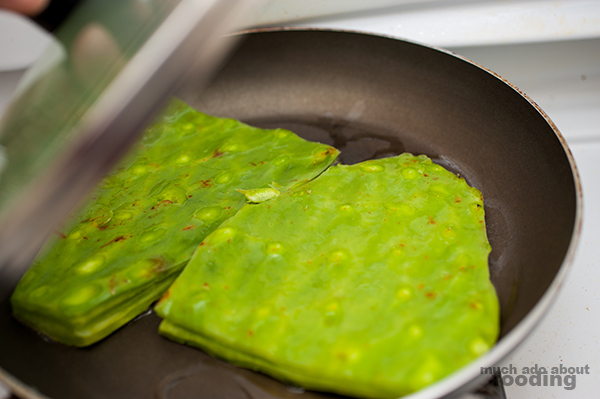 You can choose to prepare your nopales "pocket" in several ways including grilling, roasting, and pan-frying. I only had time to try to steam mine in a skillet but experiment yourself to see what style you'd like. In a separate skillet, heat oil on medium and add beaten eggs. Gently fold and let uncooked egg run around the pan. 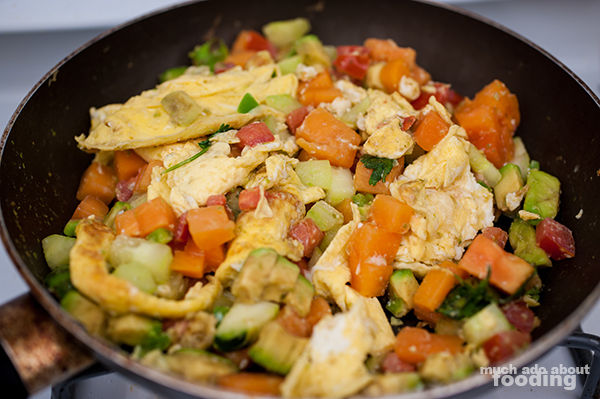 Add vegetables and salt while the egg is still runny. Gently scramble. 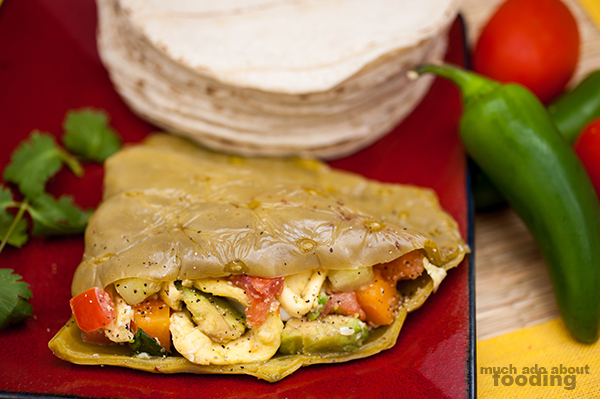 Once both are complete, you can arrange by placing egg mixture filling inside the nopales pockets. Crack freshly ground black pepper on the top, and enjoy! 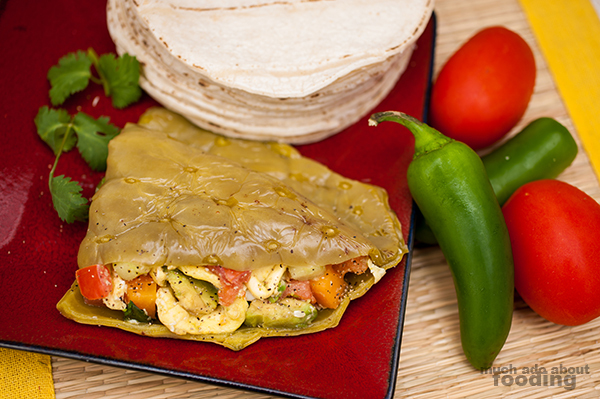 The papaya, avocado, and tomatoes definitely give a sweetness to counteract nopales' natural sourness. I'm excited about the potentials for this ingredient mainly because it's a salt. Salts are used in just about everything. 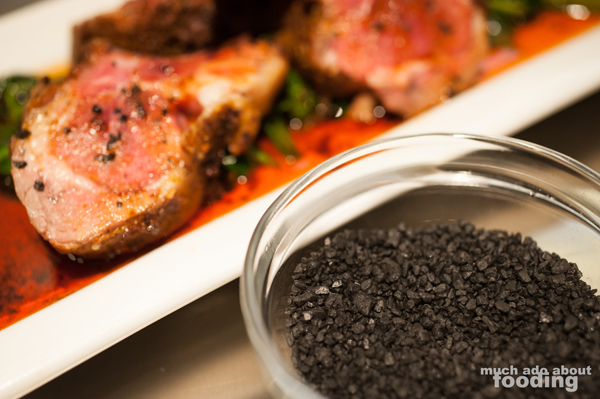 The difference for this version is that it has been blended and colored by activated charcoal. What do you think I should do with it? Comment on the picture below when it pops on Facebook later today!